The aim of this workshop is to bring together internationally leading as well as young researchers from the diverse but closely interrelated areas of analysis, probability and statistics. Likewise various applications with a focus on biometric and economic questions shall be covered. 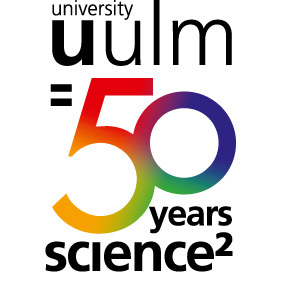 The selection of topics is closely related to the scientific interests of Ulrich Stadtmüller since he started at Ulm University in the 1970ies. The workshop takes place at Ulm University (Helmholtzstr. 18, Room 2.20) from Monday, April 3rd to Tuesday, April 4th, 2017. A registration form can be found here. If you wish to attend the workshop, please fill out the registration form and send it back to Eva Nacca via e-mail, fax (please use the fax number given in the form) or regular mail by March 15, 2017. Please note that the conference fee is 40 EUR for all participants and should be paid by March 15, 2017 (see above pdf file for bank details). In case of any queries regarding the registration or the workshop itself, please feel free to contact Eva Nacca. Can we identify a max-linear model on a DAG by the tail dependence coefficient matrix? A site plan of the campus and detailed travel information can be found here. The conference will take place in the building of the Faculty of Mathematics and Economics, Room 2.20. The room is situated in the second floor Helmholtzstraße 18 which can be found on that map . The best way to get there is by bus line 3 (coming from city centre). The stop is "Botanischer Garten". From there you walk approximately 5 minutes to Helmholtzstraße 18. Substantial financial support by the board of Ulm University to organise this workshop is gratefully acknowledged.